Are you wondering how to say "five" in French? The word for "five" is very easy and actually sounds really similar to an English word you already know. The key to pronouncing it correctly is to use the "nasal i" similar to the nasal sound in words like pain. The word for five in French is "cinq" and is pronounced fairly closely to the English work "sank." Because it sounds so much like an English word, it is very simple to pronounce and master. Once you've mastered "cinq," you are ready to move onto more complex ideas! Some people might want to know how to say "five" in French so that they can use "cinq" in expressions like "Give me five. . ." or "high five". However, this would be a faux pas. 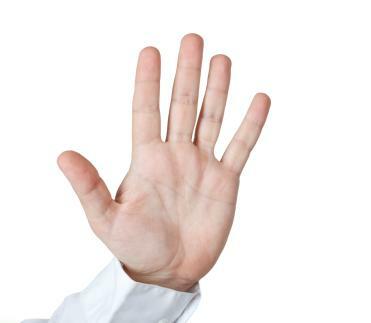 The French do not give 'high fives' nor is there an equivalent expression for "give me five." The French, although considered more formal in society, are definitely more comfortable with physical contacts. In a situation where a high five might be appropriate in America (like after a good game for example), the French are more likely to hug. Likewise, "giving five" might be expressed by a kiss on the cheek. But either way, it's probably better to pass up the opportunity unless someone offers you the first hug or kiss. Other Occasions to use "Cinq"
It is five o'clock-Il est cinq heures. It is five fifty-five-Il est six heures moins cinq. OR Il est cinq heures cinquante cinq. The ordinal number "fifth" is cinquième. A popular tongue twister is: Cinq chiens chassent six chats. That costs five francs. Ça coûte cinq francs.